Recycle Your Christmas Tree! 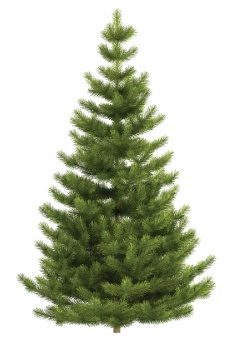 Christmas Trees may be recycled between December 26 and January 31 of each year at the fenced in location at 1 st & Ella. Please remove ornaments, wooden stands and plastic bags. Each year, citizens of Beatrice and Gage County recycle approximately 500 trees. The trees are chipped and used as mulch for trees located in the City parks. 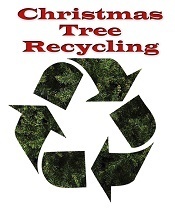 Click here for a map of the Christmas Tree Recycling Locations. These sites will be open December 27 through January 18, 2019 from 8 a.m. to 5 p.m. daily. Open Christmas Day to January 21, 2019. 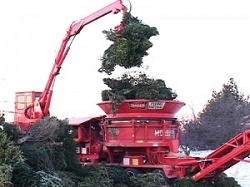 Take your tree to one of seven Christmas tree recycling sites in Lincoln. Christmas tree wood chip mulch can be obtained at no charge at Hofeling Enterprises Inc., 2200 Folsom Court, on a first come first serve basis. Recycling your Christmas tree will save space in Lincoln's landfill. Recycling Reminders: At the site, remove plastic bags and put them in nearby trash cans. Make sure all nails, wires and tree stands are removed. Also Boy Scout Troop 8 is offering to pick up trees and transport them to a City drop-off site. Pick up dates are December 29, 30 and January 1, 5, 6 and 12, 2019; offered in these zip code areas: 68502 through 68508, 68510, 68512, 68516, 68521, 68522 and 68526. Trees should be placed at the curb by 9 a.m. for pickup. The service is free, but donations are appreciated. To schedule a pickup, contact Troop 8 at www.scouting4trees.org or 402-965-1458. Christmas trees must be prepared according to the yardwaste collection regulations to be collected as a part of your Omaha solid waste collection service. For instructions about yardwaste preparation, click here . Please remove: Nails, Wires, Ornaments, Tree stand, Plastic bags (please take bags home and dispose with garbage), Lights (Recycling opportunity for these, click here), Wreathes and evergreen roping will not be accepted. Flocked trees are ok. Thank you for making Christmas Tree recycling part of your holiday tradition. Share the Christmas spirit and ask a neighbor if you can help them get their tree to a recycling site. 120th Street & West Maple Road . North lot of soccer complex. Volunteers from the Rotary Clubs of Omaha, and the Douglas-Sarpy Master Gardeners will staff the Tranquility Park and F Street Football Field sites listed below to help you unload your tree on December 29 and 30, 2018 and again January 5 and 6, 2019, from 10AM until 4PM each day. These sites close on January 7, 2019. Do not deliver trees after this date. Doing so is illegal dumping and punishable by a fine of up to $500, loss of drivers license for 6 months and all clean up costs. Please throw your tree up on the pile. This will leave room for others to access the site. Omaha's Henry Doorly Zoo and Aquarium - This site closes on January 7, 2019. Do not deliver trees after this date. Northwest corner of parking lot, near intersection of Bob Gibson Drive and South 13th Street. .
Orchard Park - This site closes on January 7, 2019. Do not deliver trees after this date. 66th Street North of Hartman Ave . 57 blocks North of Dodge Street. Ta Ha Zouka Park - This site closes on January 7, 2019. Do not deliver trees after this date. 20801 Elkhorn Drive . Parking lot behind the Chamber of Commerce. Highway 370, between I-80 and 168th Street . Wildlife Management Area south parking lot. Pierson/Orval Ballfields - This site closes on January 7, 2019. Do not deliver trees after this date. Christmas Tree Recycling. Christmas tree collection sites will be opened during daylight hours starting on December 27th through mid-January. See locations above under Omaha.